Thanks to Twitter, everyone's a writer—but there are still good ones. And some of those good ones will be at Columbia College's Story Week Festival of Writers taking part in workshops, readings, and book signings. Today you can check out readings from Barry Gifford at Film Row Cinema and Cristina Garcia at the Harold Washington Library. As part of the Pocket Guide to Hell Tour series, Paul Durica leads a guided tour of Streeterville, focusing on the neighborhood's labor history, social justice, and crime. Visitors are encouraged to join in with props, costumes, music, and poetry. It all starts tonight at the Museum of Contemporary Art. The Gene Siskel Film Center screens the newly restored Portrait of Jason tonight. 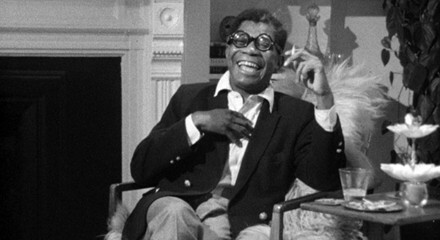 J.R. Jones calls Shirley Clarke's study of black, gay houseboy and cabaret hopeful Jason Holliday a "cornerstone of LGBT filmmaking."